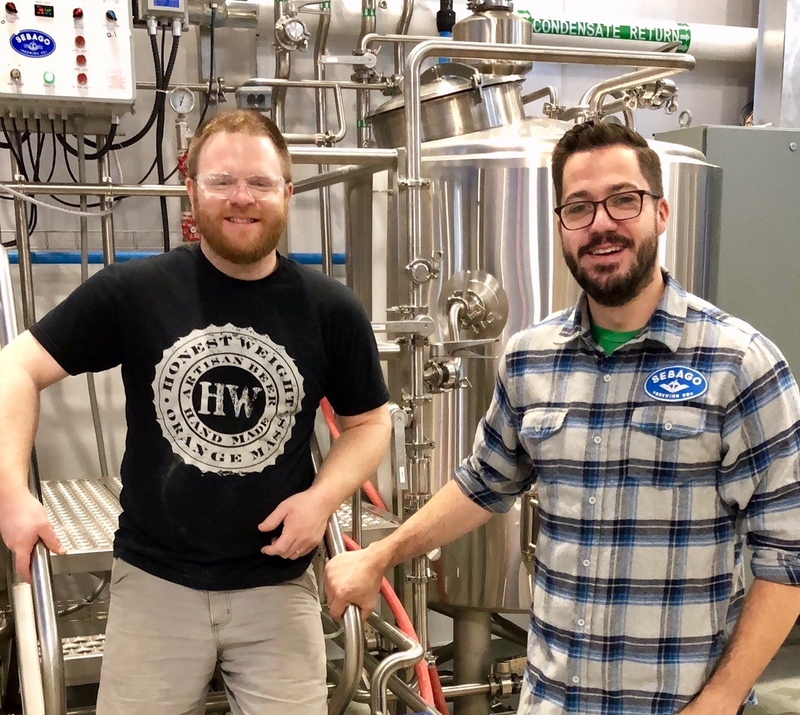 When brewer Kevin Depot invited Sean Nolan, co-owner of Honest Weight Artisan Beer, to collaborate on an IPA for Summer Session 2018, he knew what he was in for. The two brewers have been friends since they worked together at a music venue in Cambridge, MA. Kevin was an audio engineer by trade, and Sean was a lighting designer. At the time, Sean was also working at Idle Hands Craft Ales, where he got Kevin his first gig at a brewery. Cut to July 2018 and the first-time collab between Sebago and Orange, MA-based Honest Weight. The goal was a hoppy summer beer but with an all-Pilsner base so it would be extremely crisp. They used Comet and Citra hops, plus dry hopped with Simcoe Lupulin powder (a more resinous, oily form of the hop) to produce a smoother, less bitter result that still maintains an intense aroma. The entire grist was grown and malted in Maine, including a heavy dose of wheat for mouthfeel. The all-Maine grain session IPA— aptly named Buddy System— will make its debut at the Maine Brewers’ Guild Summer Session 2018. It’s the tenth small batch beer created by Sebago brewers since the pilot system started in March. This is Honest Weight’s first time at the Summer Session, though they’ve partnered with other Maine breweries before, such as Bunker Brewing and Oxbow. In Sean’s words: “We love Maine beer!!! Maine in general is pretty boss.” His buddy Kevin couldn’t agree more.